Rothy’s flats are the perfect shoe to get you through a busy day. Our women’s flats were designed to take you from sun-up to sundown in comfort and style. Sport your flats to the gym, wear them to the office, or take them out for after-work drinks—you’ll never need to pack an extra pair of shoes again. Whether you’re looking for flat shoes in vibrant colors or you’d like a classic Black flat to pair with virtually everything in your wardrobe, Rothy’s delivers. Browse an array of stylish colors in this classic silhouette and complement every outfit with ease. We believe looking good means doing good. 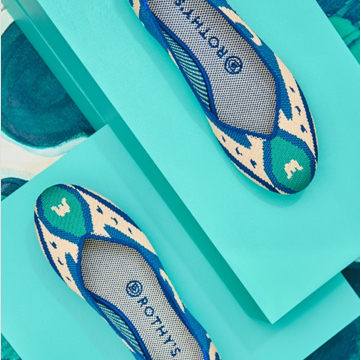 Rothy’s flats for women are made from recycled water bottles once destined for the landfill. We knit our shoes by machine and craft them by hand, resulting in a unique shoe that feels and looks great. Our women’s flats are seamlessly constructed using a 3D knitting process designed to reduce waste. Your flats don’t need a breaking-in period; they’ll be ready to wear the moment you take them out of the box. Thanks to their sock-like feel and sturdy knit, you can expect these women’s flats to provide the same comfort on day 365 as they do day 1. Thanks to their innovative structure and material, Rothy’s flats are easy to care for. Remove the insoles, toss them in along with your shoes, and wash in cold water using gentle detergent—voila! Good as new. 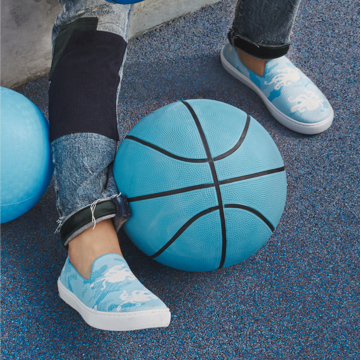 Opt for the delicate cycle and always air dry your shoes. Avoid heat whenever caring for your Rothy’s. Warm water and hot air will cause your flats to shrink and lose their shape.